What makes a coach great? How do great coaches turn a collection of individuals into a coherent “us”? Seth Davis, one of the keenest minds in sports journalism, has been thinking about that question for 25 years. 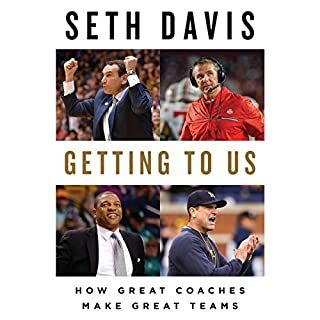 It’s one of the things that drove him to write the definitive biography of college basketball’s greatest coach, John Wooden, Wooden: A Coach’s Life. But John Wooden coached a long time ago. The world has changed, and coaching has, too, tremendously. There are a few too many coaches with significant violations which is not the fault of the author but puts them in a different light. I really prefer this book to read entire biographies of coaches.